Today I have a new to me blogger that I think you’ll love!! 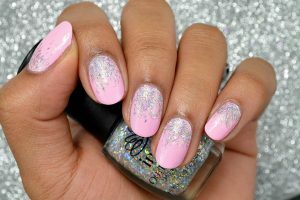 Fatimah has some beautiful manis and today she shares one with us. Let’s take a look! Hello everyone! My name is Fatimah from @fatimattidesigns. I am so honored to be guest posting for Monica while she is recovering for surgery. Hope you get better soon, dear! 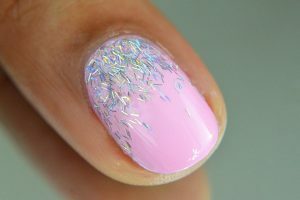 For this mani I am using INM Out The Door nail polishes. I absolutey adore this mani!!! Thank you so much Fatimah for helping me out!